On the arrival of the month of Rajab and coinciding with the birthday of Imam Ali (PBUH), Imam Shirazi World Foundation wrote a letter and invited all Arab and Muslim world leaders to adopt the peaceful policies and governing styles of the Commander of the Faithful, Imam Ali (PBUH). 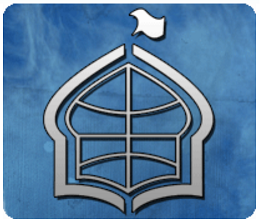 Thus and considering the great importance of the month of Rajab, the Imam Shirazi World Foundation requests all Arab and Muslim world leaders to release all political prisoners and prisoners of conscience in their countries, so as to return to the genuine Islamic practices. Such a measure will ensure the internalization of social reconciliation and justice, and it would add to the popularity of governments. A public pardon of dissidents, according to Grand Shia Jurist Ayatollah Shirazi, is one of the main tools to ensure justice and stability in any government. This is a method of the holy Prophet of Islam, which should be adopted by all Muslim countries at this critical time.